Mobile commerce is dramatically changing the face of retail supply chains and the way shoppers interact with retailers. 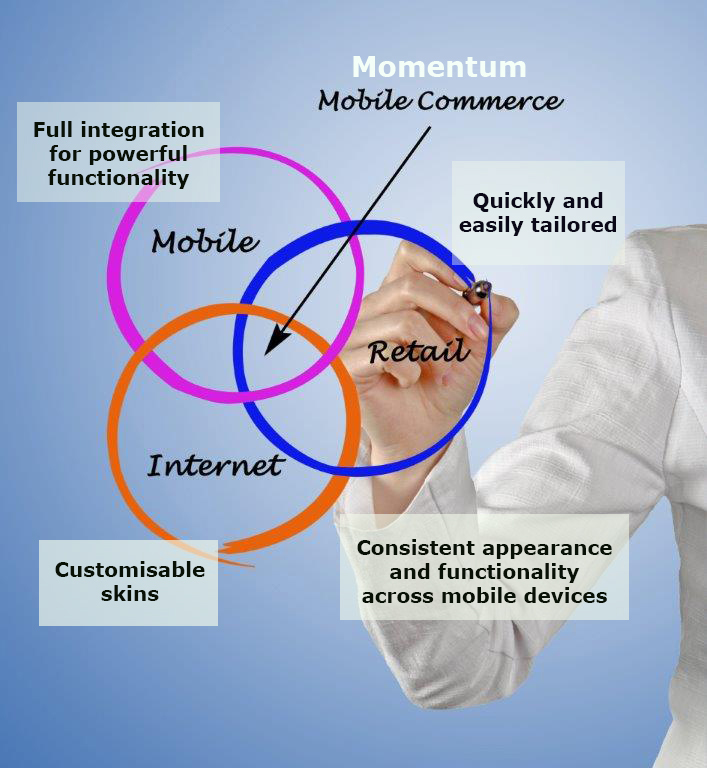 As more and more consumers choose to use smartphones and tablet devices for shopping BCP is using its experience and understanding of the retail sector to develop effective mobile apps that will allow retailers to take advantage of this important shift both to improve operational efficiency and to give their customers the best possible consumer experience when dealing with them. Our mobile solutions integrate seamlessly to our Momentum offering to make use of its rich functionality and can be easily be tailored to meet your own particular requirements and corporate branding specifications.